At Young Island, we appreciate the importance of celebrating milestones and creating new memories to last a lifetime. We were delighted when a local guest asked to host her 70th birthday celebration at our resort this May. The theme was High Tea. We hosted her private event in our upstairs dining room, and set the tables with our china collection. 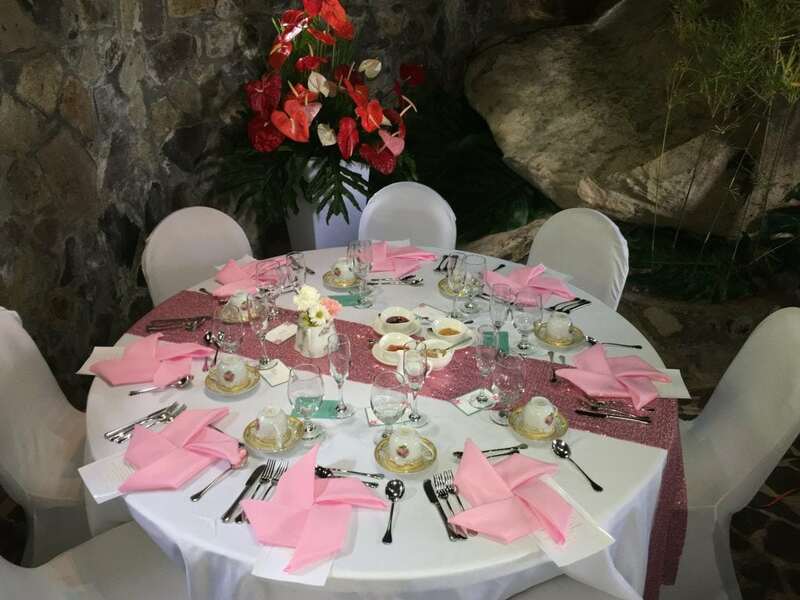 Some of the lovely decor, including the pink table-runners, were from a local business, Joche Moments. 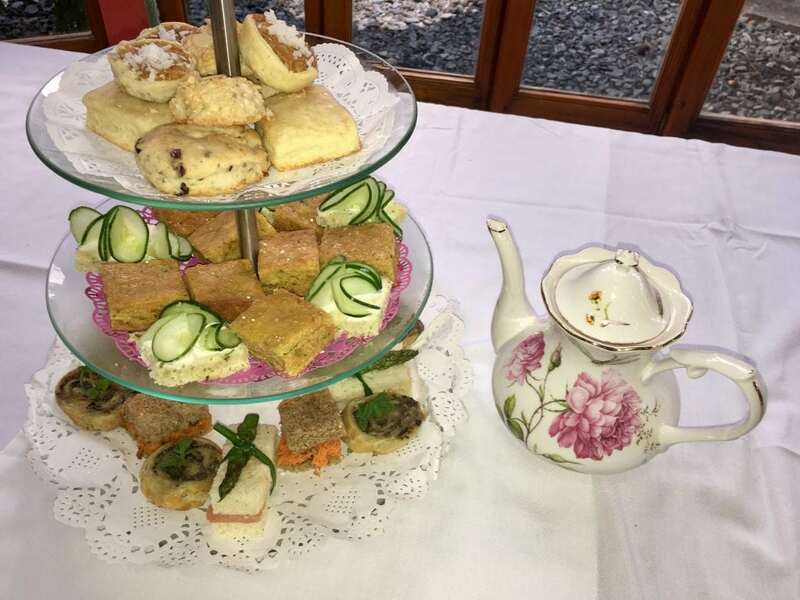 Our Executive Chef Christopher John and his team prepared an assortment of tea sandwiches, pinwheels, desserts and other sweet treats to choose from. Some favorites were the cranberry pecan scones, salmon asparagus sandwiches and mushroom pinwheels. 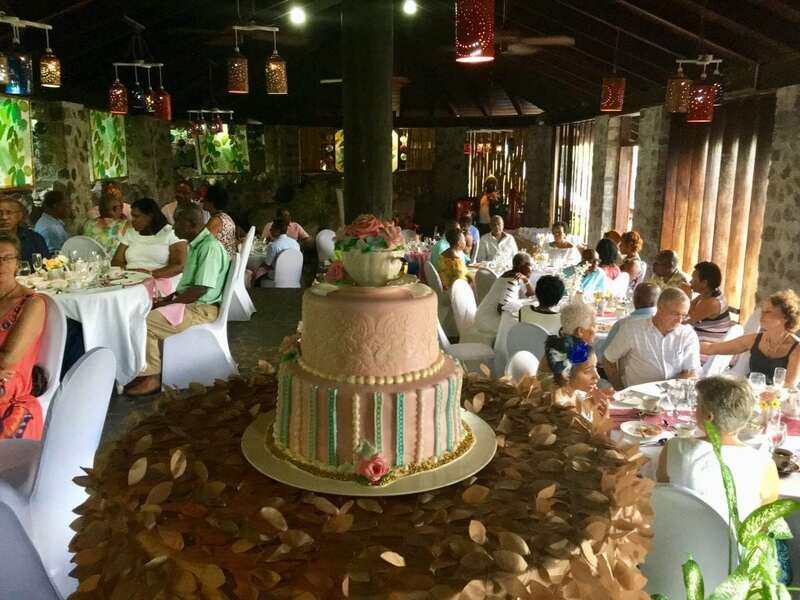 The two-tiered pink cake was decorated with floral accents for a subtle tropical island touch. The cake was made by a favorite local pastry chef, Jenelle Lewis, of Jin Jin Sweet Tooth. Happy birthday to our guest of honor! On behalf of the Young Island team, we wish you many more special birthdays to come.